A horror film about a screenwriter who loses the ability to distinguish between his fantasy world and the real world, with disastrous consequences. As he ruminates on his place in any world and loses his grip, he also loses his wife and his children's respect, and critics tear him apart. 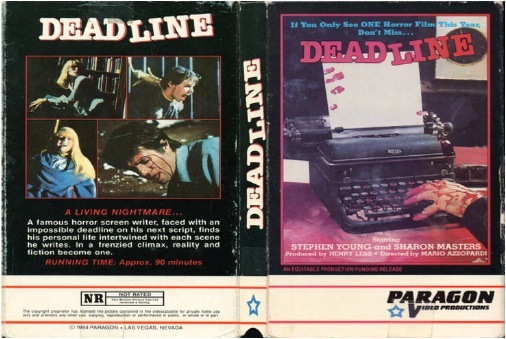 The final undoing of this screenwriter is a deadline that must be met at all costs, costs that perhaps are too great.